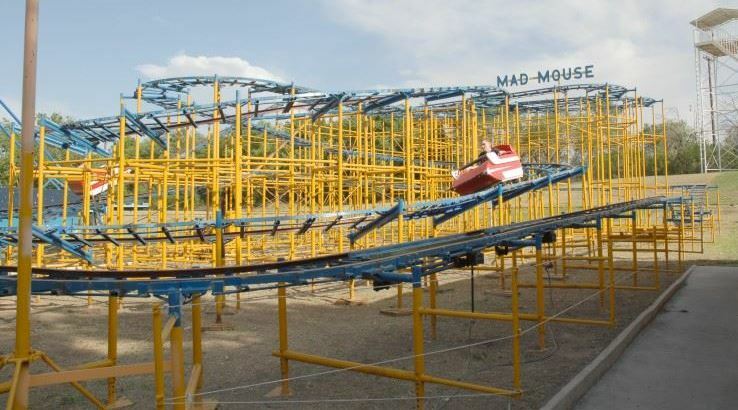 Arnolds Park Amusement Park in northern Iowa has purchased the Allan Herschell Mad Mouse from Joyland Amusement Park in Lubbock, Texas. This exciting news is made possible thanks to our preservation-oriented friends at IRM Rides. "After helping with the [1970 Arrow] Log Flume in 2000, this opportunity allowed us to work with Arnolds Park again with another major addition" said IRM Vice President of Sales, Sam Shurgott. "Arnold's Amusement Park is a classic park dedicated to preserving its history. IRM is proud to help and support them in achieving their mission." The ride originally operated at Bell's Amusement Park in Tulsa, where is opened in 1959. At Arnolds Park, the ride will be named Wild Mouse in honor of the Schiff Wild Mouse that was installed at the park in 1958 (its removal date isn't known). A shout out goes to Greg Van Gompel of National Amusement Park Historical Association, who greatly assisted IRM with this. Glad to see this happen!